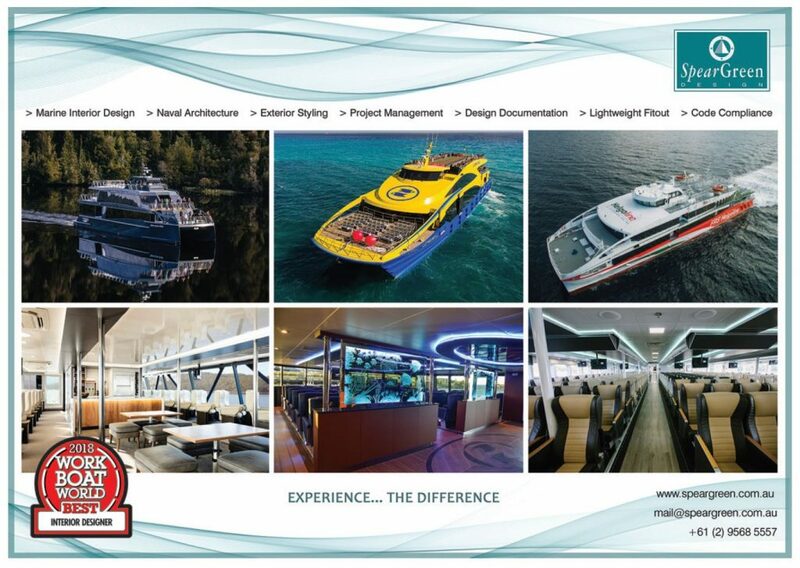 The Australian Commercial Marine Group (ACMG), is proud to announce that one of its core members, Spear Green Design (SGD) has been awarded ‘Best Marine Interior Designers for 2018’ by Baird Publications in conjunction with Work Boat World within the commercial vessel worldwide category. The award was presented in recognition for three specific major projects, all launched and delivered during 2018 to clients in Germany (56m), Mexico ( two 48m) and Tasmania (36m). Each vessel was built to the highest of standards by some of the world’s top yards located in Philippines (Austal), Louisiana, USA (Midship) and Tasmania (RDMC). All had unique features incorporated into the fit out through forward thinking design and detailed styling by SGD. 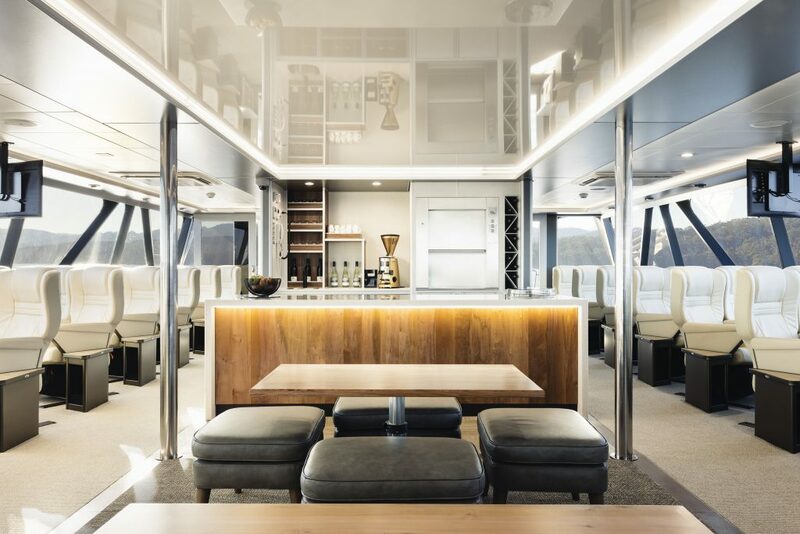 These featured in the bars and F&B outlets, lighting, furniture and joinery elements and also increased the vessels overall interior amenity. SGD provided a full marine interiors concept, design development, specification and documentation package with supply chain management and additional specialist A/V and other consultation advice. One of the vessels, a repeat project for SGD, Tasmanian tourism vessel Spirit of the Wild, with Exterior Styling and Marine Interior Design, Specification and Documentation by SGD also took out the ‘Best Tourism Vessel Award’. Baird Publications is one of the world’s premier maritime publishing houses with headquarters in Melbourne, Australia and a publishing subsidiary in Hong Kong. The group produces two monthly magazines, AUSMARINE and WORK BOAT WORLD and a number of annual publications all focusing on various aspects of the commercial, government and military marine industries. It also presents a maritime portal.